Save time on Video Playback! 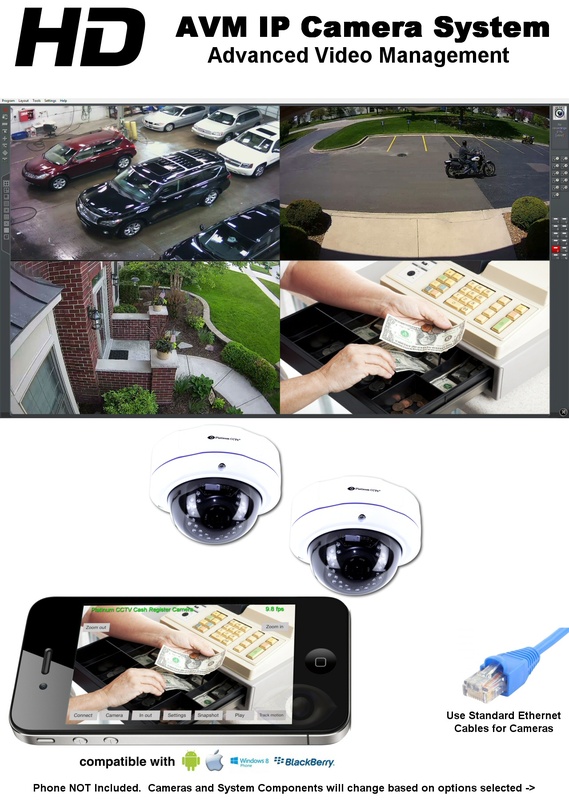 Our AVM system included with this package is one of the most advanced security camera softwares on the planet. It offers industry-leading access to your recorded and live video both locally and over the internet. Scan through days, weeks or months of video in a matter of seconds with just a wave of your mouse, saving you time and money. - It is really that easy to playback! 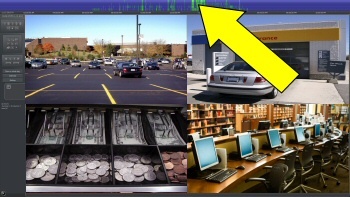 We have been on the forefront of remote camera access since before smart phones even existed. Yes, our customers were watching their cameras even on their flip phones. As new technology comes out, we stay ahead of it, developing new applications for each new phone and tablet. This means that you will be able to watch your home or business security cameras in real-time no matter where you are or what device you upgrade. 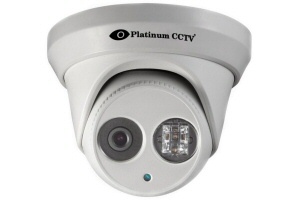 This camera system is ideal for home and business camera installations. The 3 optional cameras all have 2K resolution video, which is a great upgrade over 1080P for the price, and deliver greater video resolution, better color and improved digital zoom, night vision and clarity. This is a great half-step between 1080 and 4K resolution cameras, so it is an ideal mid-range budget option. We have 15 years of proven performance and innovation backing us up, which means that as new technology comes out, we will integrate it into your system, making your system easy to expand with any technology. 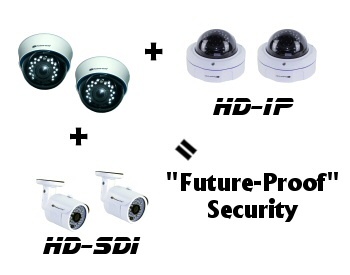 Our systems support HD over coax, Analog and HD-IP cameras (included in this package). This is why many of our customers from 15 years ago are still using and expanding on their systems. Often on the news, you will hear about hacked security camera systems, and people getting into your home or business network. 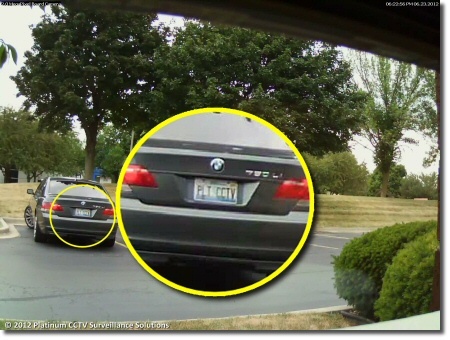 This is a genuine and real concern these days, and is very common with embedded/standalone style recorders and cameras that are connected directly to the internet. 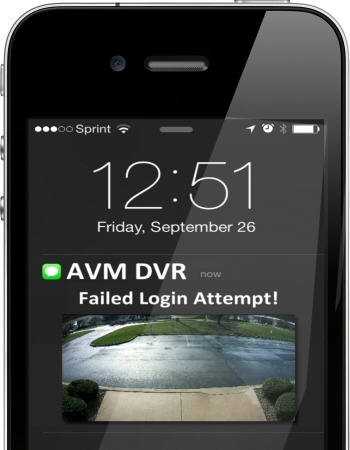 Our AVM system has built in functionality to let you know if someone even tries to log in to your cameras. This way, you know that someone is even trying. That is a level of peace of mind that is not afforded by other systems, making our AVM the best choice. 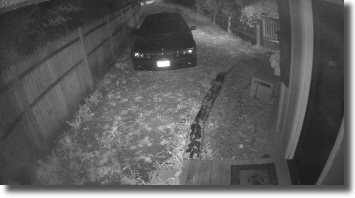 All of the cameras included in this system have infrared night vision capabilities, allowing you to record what happens even in complete darkness. Each camera has a different distance of IR night vision to help you select the cameras that will work best for your environment. Stay in touch with Alerts! Our AVM system can be optionally integrated with your alarm system using our alarm I/O boards. This will allow you to connect motion sensors, smoke detectors, water sensors, freeze sensors or more, so that you can receive email or text alerts when something happens at your business or home. Outputs can even be connected to many alarm systems which will permit you to arm or disarm the alarm system. 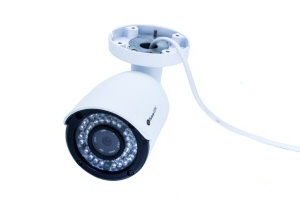 Security camera systems do not have to just be about security when you select the right system. Our AVM system allows you to optionally upgrade your system to capture POS terminal transaction data in a text format. This allows you to pull up video based on searches for specific items, amounts or discounts applied. This means that you can manage your business better. The core of our AVM software, is an enhanced scheduling engine. 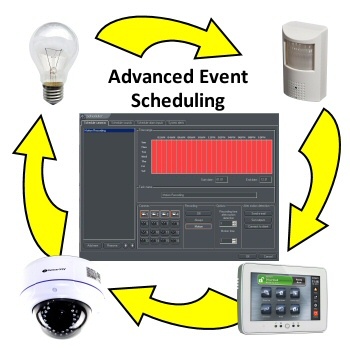 This provides you with the ability to schedule complex alerts that can be based on camera motion, signal loss, alarm inputs, analytics alerts, system events and much more. You can even layer multiple events simultaneously to ensure when you get an alert it is something you want to see. Use the scheduler to control lights and other devices based on any event with optional IO card. This makes it a powerful automated business or home controller. From instructional videos and walkthroughs to live remote technical support and online chats, we have your back every step of the way. You don’t have to be a tech guru to get our systems up and running, because you have an entire team of specialists behind you. Whether you install systems for a living, or have never touched a camera before, we’ll get you up and running in no time at all. This powerhouse 2K resolution HD IP bullet camera delivers great quality video both in daytime and at night with isolated glass front which reduces glare and stays cleaner even in outdoor situations. These cameras have a 4mm lens for 90 degree wide view, and IR LEDs that will illuinate the area in front of the camera up to 65 feet in complete darkness. These cameras record at up to 2688x1520 resolution and at frame rates up to 30 fps. These cameras feature a great 3-axis adjustment for easy installation on ceilings, walls or any other surface. This camera features our 7th generation video processor for crisp, clear video and smooth framerates. The HD-4417 2K resolution HD mini dome camera delivers video at up to 30 fps for smooth video and resolutions up to 2688x1520 (2K) for clear video. With the built-in 7th generation video processor, 2.8mm lens (~100 degree width) and Infrared night vision up to 65', the HD-4417 model camera will fit into your home or business security plan nicely. We recommend using dome cameras in indoor areas, even though they are rated IP66 for weather and vandal resistance, so can be used outside at option. .
Our HD-8417 model 2K IR Turret camera is the best choice for installation inside or out. It features the widest class 2.8mm lens with up to 120 degree width of view, and longest in class night vision range with a rating up to 100' thanks to the built-in 3rd generation Array type IR LED. This camera is as small as a dome camera to blend into your indoor or outdoor area, but has the flat glass isolated front of a bullet camera to ensure crisp, clear video. This camera surely is the editors choice. 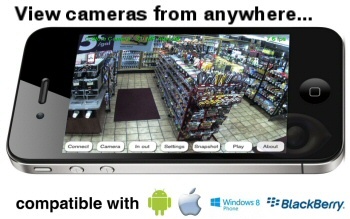 The AVM Lite software allows you to record from these HD-IP Cameras onto your PC or laptop on the same network. It provides all of the enhanced playback and remote viewing capabilities of our AVM full license software, with a 7-Day rolling recording. Record directly onto your PC and turn it into a fully functional NVR server. 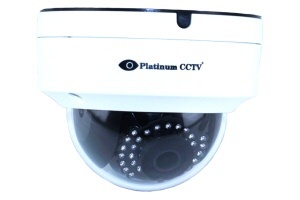 This Lite version of our AVM has all of the same playback, motion detection and alert capabilities. 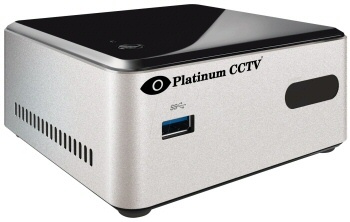 Our MicroNVRs are a great way to record from your HD IP cameras. These recorders are truly MICRO - (4"x4"x3") so they can fit in virtually anywhere. Each recorder includes the AVM software license, wall mount bracket and power supply for the NVR. MicroHDMI and mini-Display ports allow you to connect these NVRs to almost any TV or monitor for display, or simply connect to them from any of your PCs, iPhones, or Androids in the house to view the video. With our MicroNVRs, it is the same as having a standalone DVR, only better! 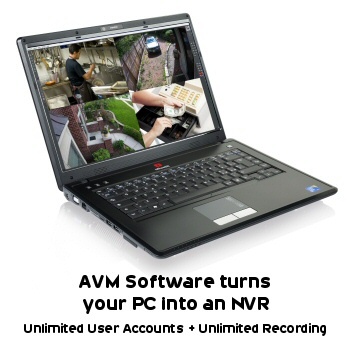 No DVR can match the processing power and features of our NVRs with AVM software!